As the Rotary International continues to recognize its 30th year of Women in The Rotary, Laquita R. Stribling, became the first African American installed as 6760 District Governor for Rotary International 2018-2019. 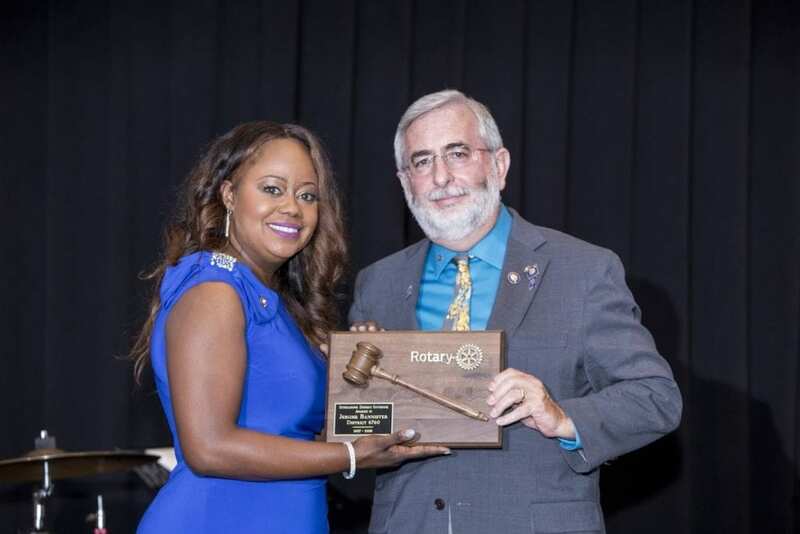 Laquita is a past president of the Rotary Club of Nashville (2014-2015), the 3rd largest Rotary Club in the world with nearly 600 members. Nearly 150 Rotarians and guests from Tennessee, Arkansas and Georgia celebrated the historic occasion for the native Arkansan on July 14, 2018 at the Music City Center. 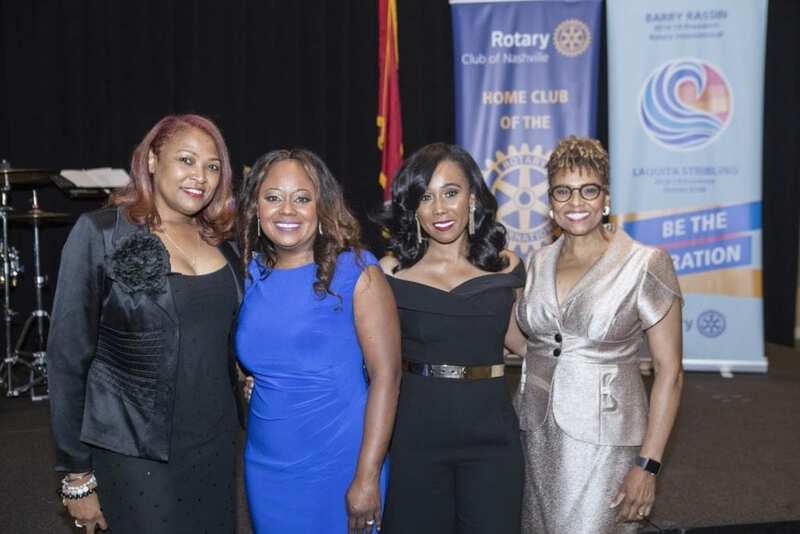 No stranger to breaking glass ceilings in Rotary and beyond, Laquita was the first African American woman president of the Nashville Rotary Club, the second African American, and the fifth woman to lead the club in its first 100 years. Francis Guess, a long time mentor and friend, was the first African American president of the club and was her champion in chief. Laquita has been writing HERstory for several decades. 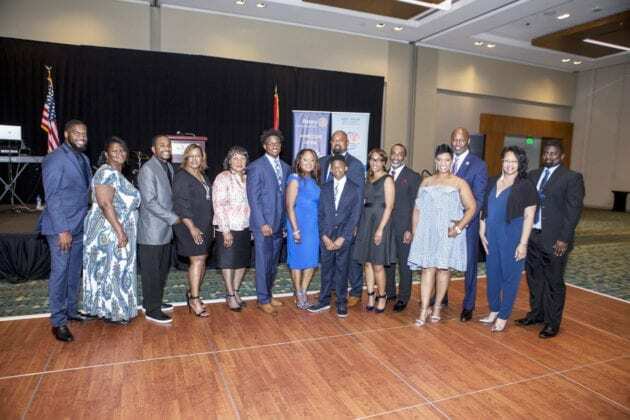 She was the first female to be awarded a full athletic scholarship at her Alma Mater, the University of Arkansas at Pine Bluff, where she received a Bachelor of Arts degree. She went on to obtain a Master of Public Administration degree with a concentration in Human Resources from the University of Memphis. 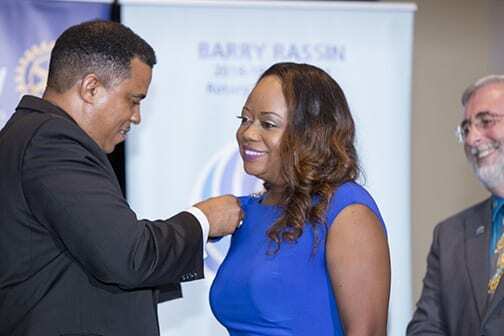 In 1996, she joined Randstad USA in an entry level position and is now Senior Area Vice President responsible for 4 districts, 9 offices across 3 states, over 1,300 employees and over $40,000,000 in revenue. ​In addition to her corporate leadership role and civic engagement in the community, Laquita ​ expects to earn a doctoral degree in Leadership and Professional Practices from Trevecca Nazarene University in December 2018. 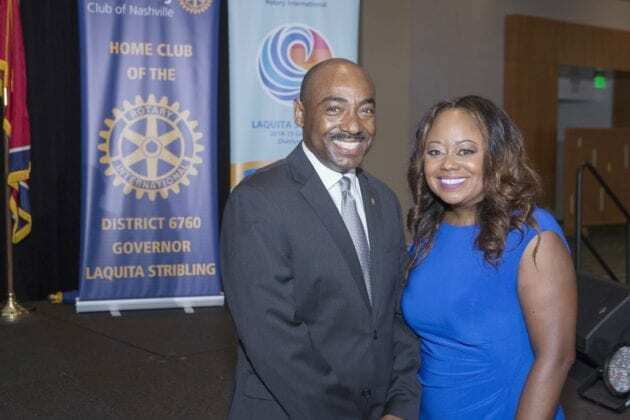 During her tenure as president of the Rotary Club of Nashville, Laquita led the effort to raise a record $300,000 to fund local community projects. She also spearheaded the creation of a strategic plan to intentionally and proactively seek and attract more women, people of color, younger people, and individuals from more varied industries. 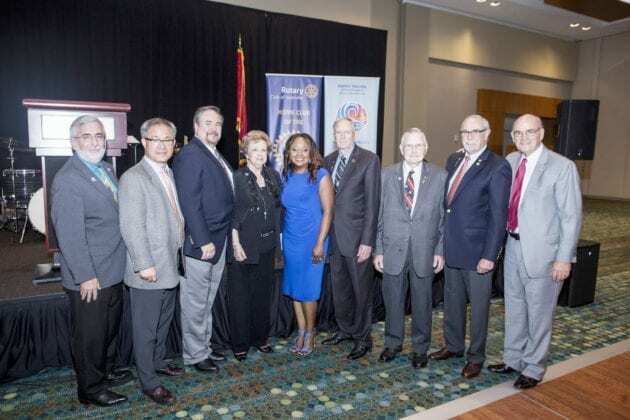 In a time when most clubs’ memberships were declining, the Rotary Club of Nashville’s membership saw net growth, and became a more diverse and inclusive organization. 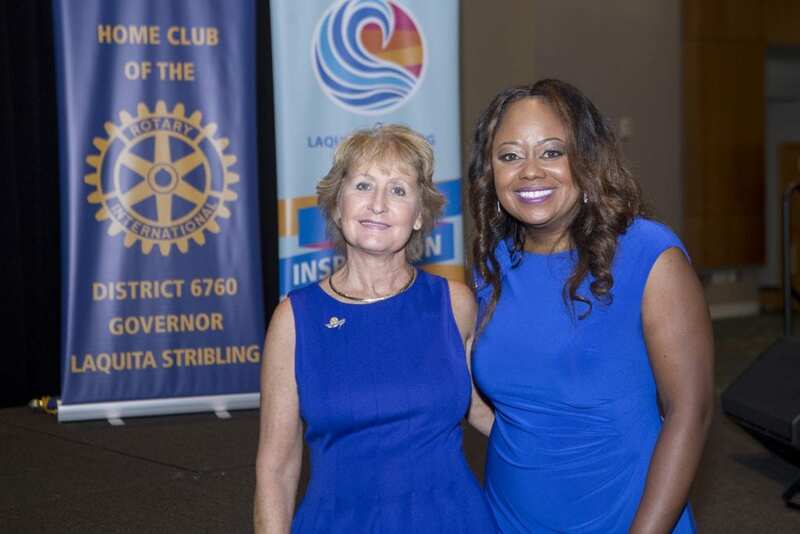 She also established a Rotaract Club at Fisk University to engage students in leadership and service. Laquita made the evening a family affair by pinning her husband, Finis Stribling III, a Paul Harris Fellow, a recognition that shows appreciation for and encourages substantial contributions to the Rotary Foundation of Rotary International. Laquita R. Stribling with members of her family and special guests. 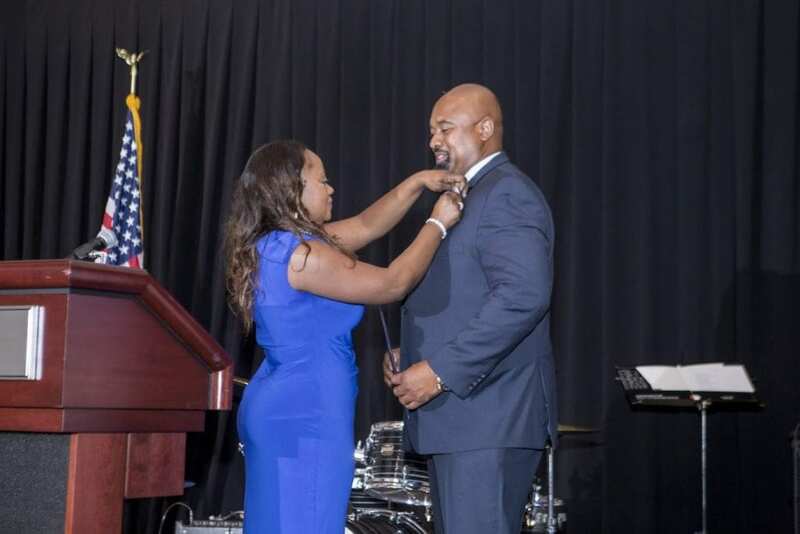 Laquita R. Stribling pins her husband, Finis Stribling, III. 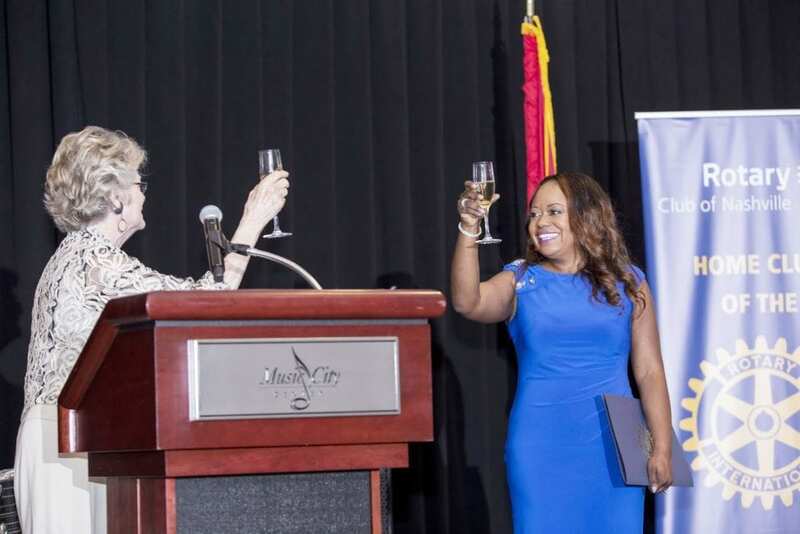 Jo Federspiel (1997-1998), left, first female president of club, toasts Laquita R. Stribling.